Larry Krasner is Philadelphia's radical district attorney. His latest reforms stop short of ending civil forfeiture, but they could open the door for more transformative possibilities. It’s been a banner year for the movement to transform criminal justice in Philadelphia. 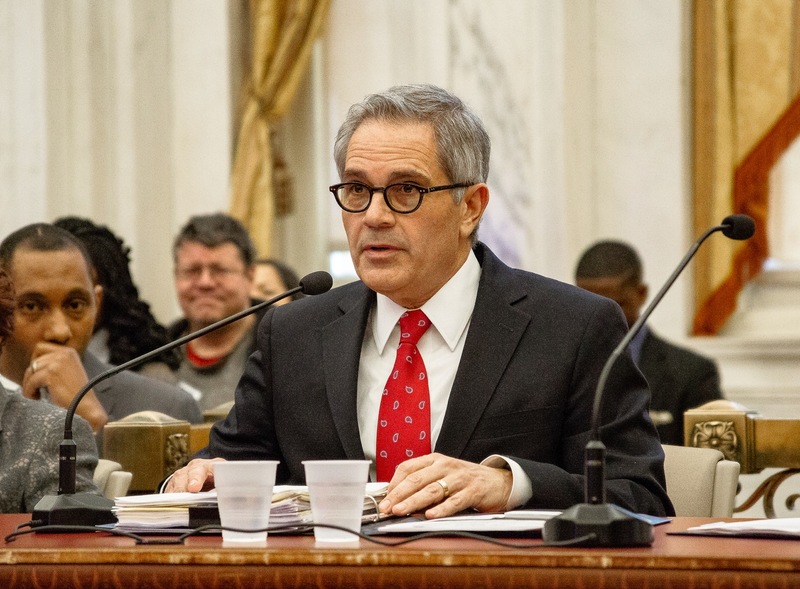 In February, the coalition that lifted radical lawyer Larry Krasner to the district attorney’s office scored two early victories when Krasner announced his office would reduce the severity of sentencing policies and limit the use of cash bail. The coalition chalked up another win earlier this month when Krasner filed murder charges against police officer Ryan Pownall, who fatally shot a man after confronting him for riding a dirt bike in 2017. But while the changes reflect the transformative vision of Philadelphia’s activists, they also bear the mark of a more restrained, establishment approach to criminal justice reform. Much like a reform bill passed by the Pennsylvania legislature in 2017, last Tuesday’s settlement does not end civil forfeiture. Krasner explained that he wanted to “leave the door open” to target “criminal organizations.” Yet historically, such promises have relied on adjudicatory frameworks for determining guilt and innocence that are shot through with dubious narratives about personal responsibility. A true reckoning with the legacy of Philadelphia forfeiture would recognize that police seizures and prison sentences have not addressed the political and economic foundations of the drug trade — and have often intensified the harms it produces. In other words, a true reckoning would slam the door on both civil forfeiture and drug criminalization. Unlike criminal sanctions, civil forfeiture targets property instead of persons. Forfeiture actions operate through the legal fiction of the property’s guilt — the cash, cars, and homes the police seize are themselves indicted. Prosecutors must establish that targeted assets are either ill-gotten gains or were used in the commission of a crime, while the owners — who are often not convicted, charged, or even arrested — enter as third parties who must prove their property’s innocence. Successfully forfeited assets are funneled into city coffers. Forfeiture statutes emerged during the 1980s War on Drugs, when criminal penalties were ramping up. Pennsylvania clarified its existing forfeiture laws in 1984 — allowing seized money and assets to be used by local rather than state law enforcement agencies — and again in 1988, when it streamlined the process for seizing real property. Cash forfeitures in Philadelphia increased fourfold over the next three years. The city also began seizing hundreds of vehicles and experimented with the forfeiture of real property for the first time. The early days of forfeiture coincided with a municipal fiscal crisis. Forfeiture became a salve for law enforcement as austerity measures hit a city already reeling from widespread disinvestment and hemorrhaging population. During the summer of 1989, Police Commissioner Willie L. Williams used nearly $1 million in federal and state forfeiture funds to pay police officers overtime. This theme recurred as the city’s fiscal woes persisted. Forfeiture revenues peaked around the 2007 subprime mortgage crisis, reaching a staggering $4.5 million from cash forfeitures in 2009. That same year, Mayor Michael Nutter asked District Attorney Lynne Abraham to use forfeiture funds to cover a predicted shortfall for her office. Although Abraham rejected Nutter’s proposal (using forfeiture funds in budgetary decisions is prohibited by state law), Abraham’s rebuff belied the significance of forfeiture funds to her office’s budget. During the 2000s forfeiture comprised 10 percent or more of the DA’s annual budget. If the use of forfeiture reflected austerity imperatives, it also imposed those imperatives on workers, users, and bystanders in the city’s drug trade. While DAs claimed they were using forfeiture to disrupt the profits of “soul-destroying businesses,” their line prosecutors in the forfeiture unit aggressively pursued pocket change. According to my research, the average amount seized between 2011 and 2015 was a mere $285. Police and prosecutors also routinely took amounts less than $200, and often less than $50. In several neighborhoods, residents used forfeiture to their advantage, urging the police and prosecutors to remove stash houses and turn those properties over to community organizers. But those were the exceptions. And the forfeiture dragnet eventually extended far beyond these few cases of community control. The city’s new forfeiture policies should rein in this dirty money dragnet. Police will be limited to seizing contraband (such as drugs and paraphernalia) in possession arrests, and cash forfeitures will be prohibited for amounts under $250. Due process protections will be stronger, building on progress in recent years. The police will have strict deadlines for returning seized property if the owner files a motion for its release. Right-leaning critics like the Institute for Justice often share this position, but for different reasons. They propose replacing civil forfeiture with criminal forfeiture, which requires convictions before the permanent seizure of property. This solution legitimizes the notion that convictions are usually deserved and that they therefore correctly extinguish a person’s right to income or a family home. Philadelphia has not adopted criminal forfeiture, though Krasner has insisted he will require convictions prior to forfeitures “99 percent of the time.” But this promise does not address the core of the problem. Using convictions as a panacea for determining who deserves to forfeit their rights deflects attention from the unequal economic conditions and racial targeting underlying forfeitures and convictions alike. Philadelphia is the poorest big city in the country. The drug trade flourishes in neighborhoods that have been devastated by decades of disinvestment, offer little in the way of employment, and are underserved by every institution other than the criminal justice system. Those who work in and around the drug trade are among the most highly exploited workers in the city. Three decades of law-and-order policing, tens of thousands of narcotics arrests, and the seizure of millions of dollars have not changed these stubborn facts. The annals of Philadelphia cash forfeiture are rife with stories of individuals with under-the-table earnings in the wrong place at the wrong time, or small players in the drug trade losing several hundred dollars for selling a few vials of crack to a confidential informant. And many of these individuals were convicted of drug crimes. So while triple-digit sums of cash may be implicated in the distribution of illicit narcotics, these seizures often look more like the confiscation of illicit wages than the disruption of high-level drug enterprises. The under-banked and informally employed neighborhoods where forfeiture clusters are full of cash that cannot easily be disentangled from the drug economy. Considering this context, the new minimum forfeiture limit of $250 is still too low. While Krasner says that his office will not seek forfeitures under $500 (a sum that is also too low), his word will not prevent future DAs from pursuing smaller amounts. Finally, drug convictions depend on police work, and the record of narcotics police in Philadelphia raises questions about the quality of many narcotics arrests. Major corruption scandals in the mid-1990s and late 2000s implicated entire squads in illegal searches, theft from drug suspects, faked buys with fictional informants, and raids on bodegas for stocking ziplock baggies. The properties that these squads raided were among those forfeited by the city. Anecdotal evidence from defendants also suggests that some narcotics officers routinely pocketed cash before reporting only partial sums of the total amount seized on property receipts. Policing has not stopped the drug trade in Philadelphia; at best it has managed it. Along the way, the trade has been used to politically justify massive law enforcement budgets, hefty overtime for police officers, and the occasional stack of cash for the cunning narcotics officer. There is no doubt that the drug trade inflicts terrible harm on the neighborhoods it dominates. Forfeiture has occasionally helped repair this damage. But the widespread expropriation of small sums of cash and two-story rowhomes has exacerbated the drug trade’s noxious effects. Where Did the Homes Go? Many details of Philadelphia’s new forfeiture policy still need to be worked out. But even if the reforms effectively end forfeitures (and I hope they do), a troubling question remains: what happened to all those homes the DA’s office seized? The $3 million settlement fund that the city promised last Tuesday is a drop in the bucket compared to its cumulative forfeiture earnings of roughly $105 million since 1985, around $25 million of which came from the sale of seized vehicles and the auction of approximately 1,400 homes seized over the years. Many of these properties were effectively abandoned before the city got its hands on them. But many others were wrested from black and Latino families at the same time that the foreclosure crisis was blocking the intergenerational transmission of family wealth. While Philadelphia has higher rates of nonwhite homeownership than many other large American cities, those rates have declined precipitously since 1980. Today the city faces a persistent and worsening shortage of affordable housing, both in gentrifying neighborhoods and in the vast stretches of the city that remain very poor. Could real property forfeiture have contributed to these problems? I am in the initial stages of reviewing all 1,400 auctioned properties, but what I’ve found so far is disconcerting. At some auctions single individuals bought several properties at once, while other individuals (and some property-holding corporations) returned to the auctions over and over again. The geography of auctioned properties paralleled the shifting boundaries between areas of ongoing disinvestment and areas of speculative real estate investment. Auctioned properties were concentrated in Philadelphia’s lowest income and most disproportionately nonwhite census tracts, but clusters of these properties also existed along the frontiers of gentrifying neighborhoods like Point Breeze and Kensington. The DA’s auctions may well have presented a profitable opportunity for those in the business of making bets on the city’s shifting racial and class boundaries. The spatial concentration of both cash and real property forfeiture underscores the relationship between order-maintenance policing and the economic forces keeping Philadelphia’s neighborhoods stunningly segregated and unequal. The dirty money and property targeted by the program were interwoven into networks of survival and support throughout Philadelphia’s struggling neighborhoods. But it’s an open question whether the city disposed of seized properties in a way that benefited these communities. Historically, the Right has been much more vocal in its opposition to civil forfeiture than the Left. Much like the libertarian law firm that initiated the lawsuit against Philadelphia’s forfeiture program, these opponents have criticized the practice for violating individual property rights. They’ve often had less to say about the relationship between policing and racial or class inequality. Henry Hyde, a Republican representative who wrote a book criticizing forfeiture in 1995, suggested that while racial profiling “may serve a valid function,” the racial targeting of forfeitures undermined the striving of non-white Americans “to become entrepreneurs, to buy into the American Dream.” In the vision of forfeiture reform that follows, those who cannot afford to buy into the American Dream appear less fit to keep cash wages and homes on high-crime blocks. By declining to end civil forfeiture entirely, Krasner’s reforms stopped short of quashing the “personal responsibility” problem. At the same time, staunching the flow of forfeiture revenue to Philadelphia law enforcement could open up more transformative possibilities. The local lodge of the Fraternal Order of Police has cast a long shadow over City Hall for decades, causing generations of politicians to pander to its reactionary politics. As Krasner said at a recent panel on criminal justice reform, former Mayor Frank Rizzo effectively sold the city out to the FOP. The decision to redirect forfeiture money away from the police department could lend momentum to a broader political vision that prioritizes social needs over law enforcement funding. Jackson Smith is a doctoral candidate in American studies at New York University.